I'm reading this now and I'm fascinated by the way Robyn writes Mia. Mia's abilities despite her disability are well explored. Awesome review Tin! I too can't wait for the Anne Jacobs and Drew!! Your delightful review has only served to whet my appetite even more to read this terrific novel. Robyn is such a fantastic author and I cannot wait to get this book. Thanks for sharing! Love historical romance, looking forward to reading this. Thanks. 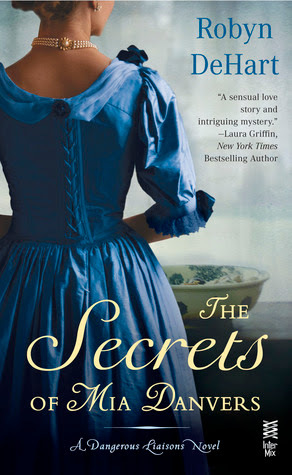 "The Secrets of Mia Danvers" looks just wonderful. My favorite kind of read. Thanks, Tin, for such a lovely review and for participating in my blog tour! You're welcome! And, thank you, as well, for the opportunity! I don't live in the US. If I won, could you send me the voucher code, or am I still banned from entering? I don't live in the US. If I won, could you e-mail me the voucher code, or am I still banned from entering? Savannah, Georgia is known as "America's Most Haunted City." More than 10 million people a year visit Savannah and most of them take a Savannah ghost Tour Travel Hotels This article gives a detailed overview of what to look for and what to avoid when choosing a tour.